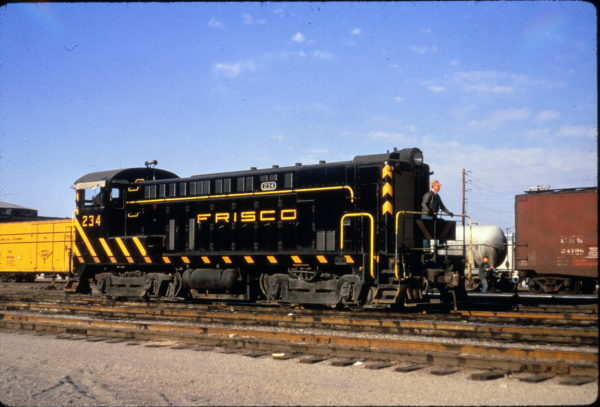 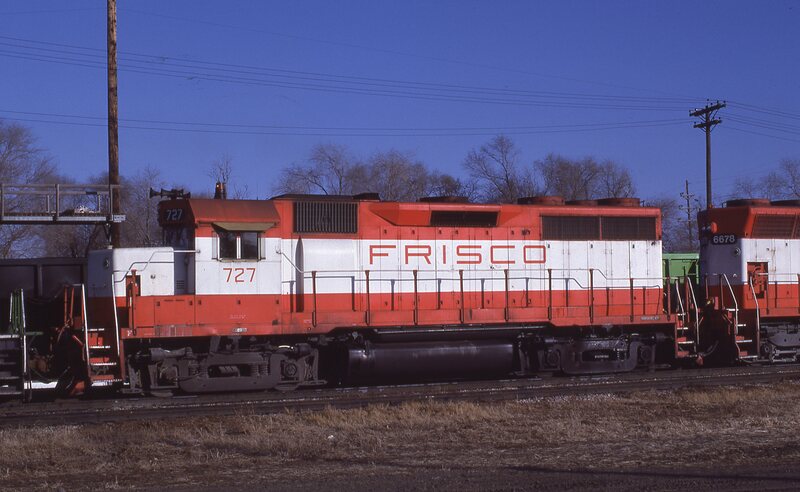 Caboose 11612 (Frisco 1284) at Fort Worth, Texas on August 20, 1990. 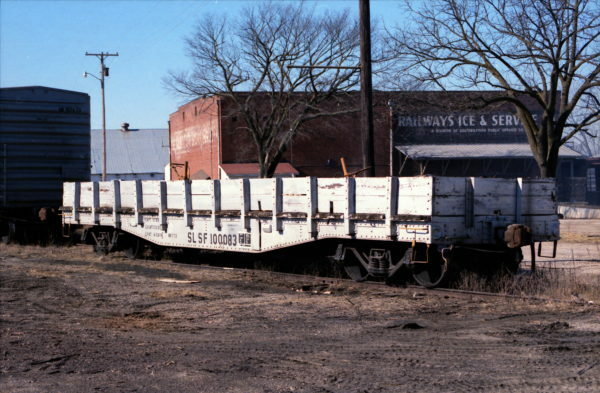 MOW Flatcar 100083 at Aurora, Missouri (date unknown) (Bob Dye). 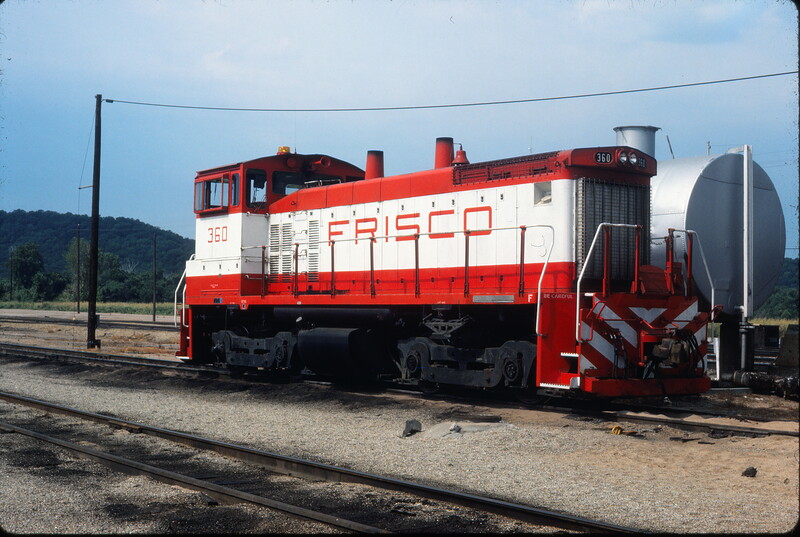 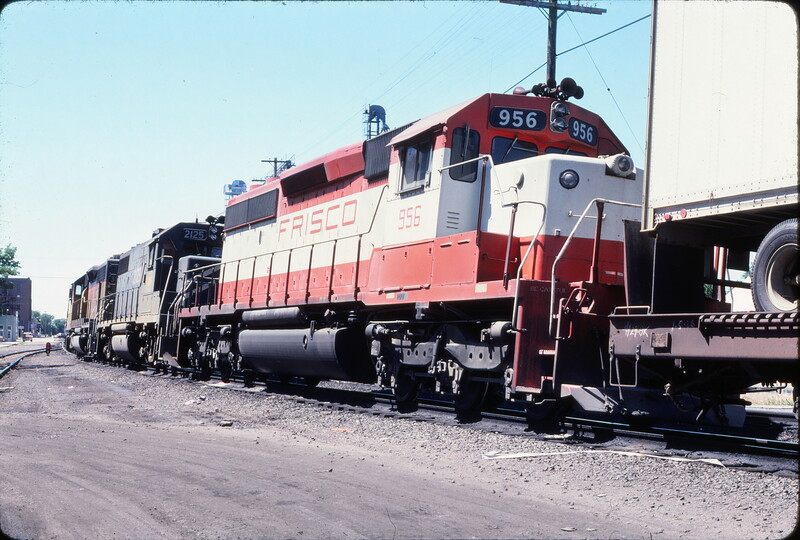 SD40-2 956 at Marysville, Kansas on June 11, 1979. GP35 727 at Lincoln, Nebraska in December 1980 (J.C. Butcher). 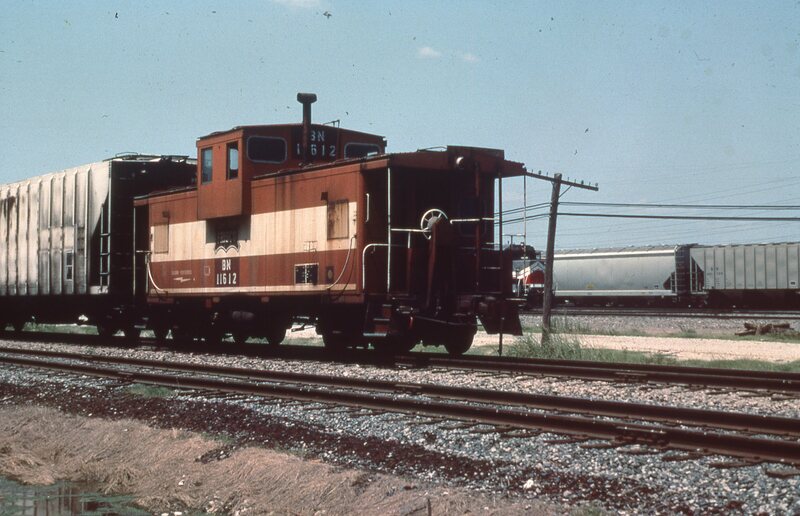 VO-1000 234 switching at Springfield, Missouri on April 17, 1967 (Al Chione). 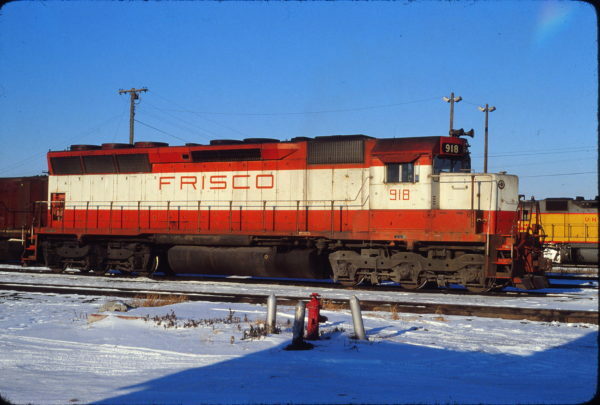 SD45 918 at Council Bluffs, Iowa on December 9, 1978 (Jerry Bosanek). 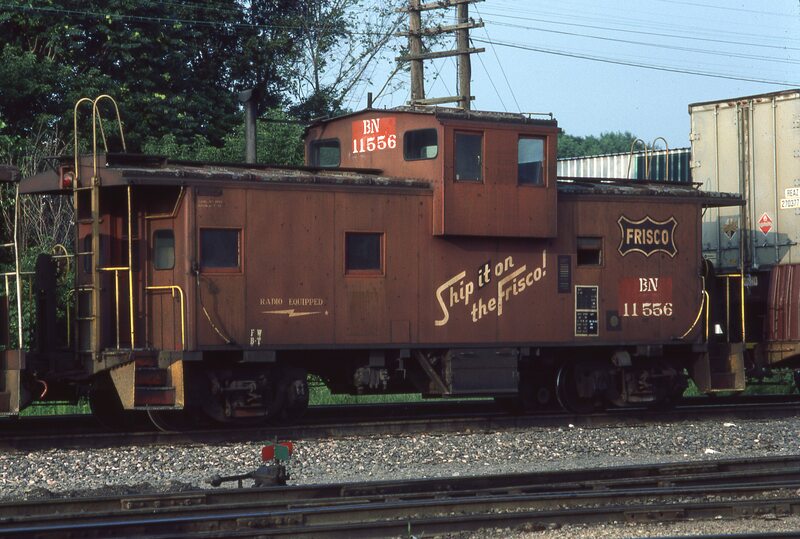 Caboose 11556 (Frisco 1228) at Ottumwa, Iowa on July 19, 1982). 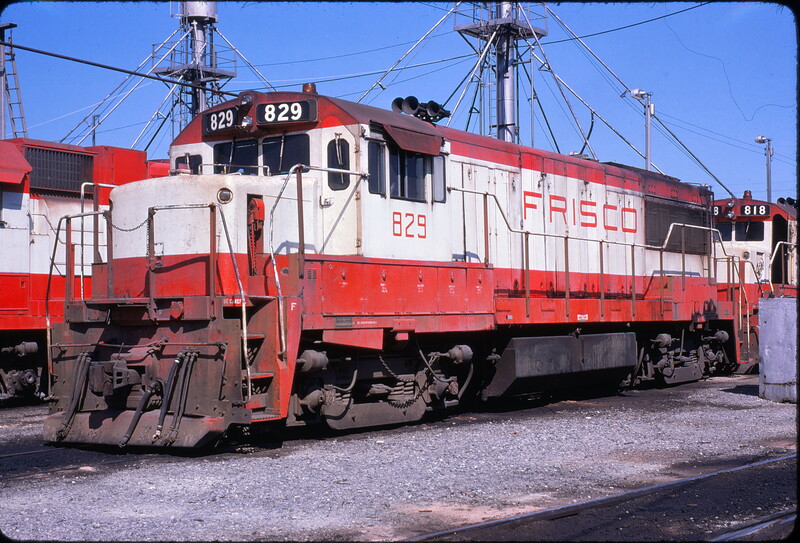 U25B 829 at Memphis, Tennessee in July 1975. 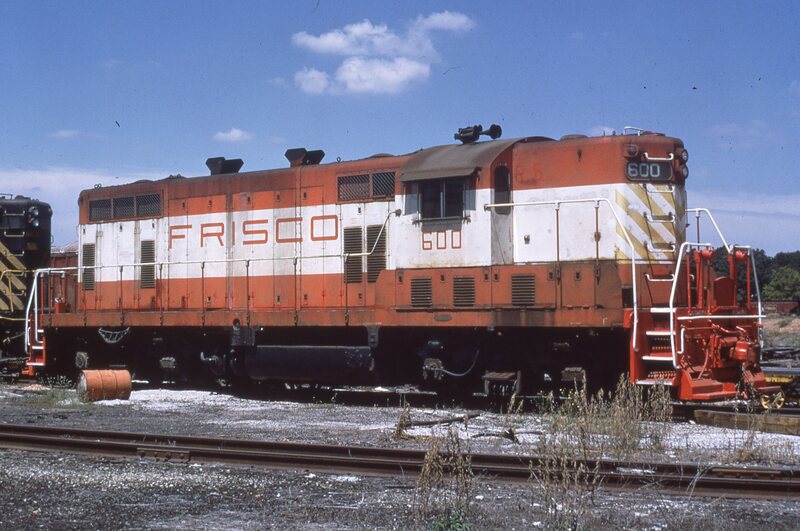 GP7 600 at Springfield, Missouri on August 15, 1973. SW1500 360 at Tulsa, Oklahoma on July 14, 1980 (Gene Gant).